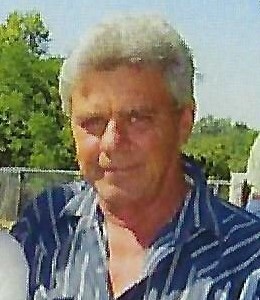 James Michael Harris ”Mike”, 58 of Elkins passed away Friday, September 21, 2018 at Willard Walker Hospice Home. He was born April 4, 1960 in Fayetteville to Charles Harris and Earlene Stout-Harris. He was preceded in death by his parents and sister, Debbie Harris. Survivors include his four sons, Michael Harris of Oregon, Jesse Harris, Matthew Harris and Adam Harris all of Winslow; three brothers, John Cooksey of Springdale, Connie Harris of Durham and Donnie Harris of California; two sisters, Jena Muddiman and Christy Grogen both of Farmington; two grandchildren; bonus Mom, Wanda Harris of Fayetteville and several other family members and friends. A graveside service will be 10AM, Tuesday, September 25, 2018 With Pastor Dallas Auslum officiating. Burial will be at Mt. Salem Cemetery. Funeral services are under the direction of Madison County funeral service of Elkins. Please visit www.madisoncountyfuneralservice.com to leave the family an online condolence.